Lan Dinh, DDS has the training and experience to provide effective orthodontic solutions. However, some patients avoid braces because they are worried about how metallic brackets will look in the smile. In order to help all of our patients, Eastvale Dental and Orthodontics offers ceramic braces in Corona. Schedule an appointment today to find out if this cosmetic orthodontic option is right for you. Like traditional orthodontic treatments, ceramic braces utilize a series of brackets and wires to straighten the smile. However, instead of utilizing metal, this option has tooth-colored ceramic brackets. Because they blend in with the teeth they are cemented on, ceramic braces are much less likely to be spotted when you smile. 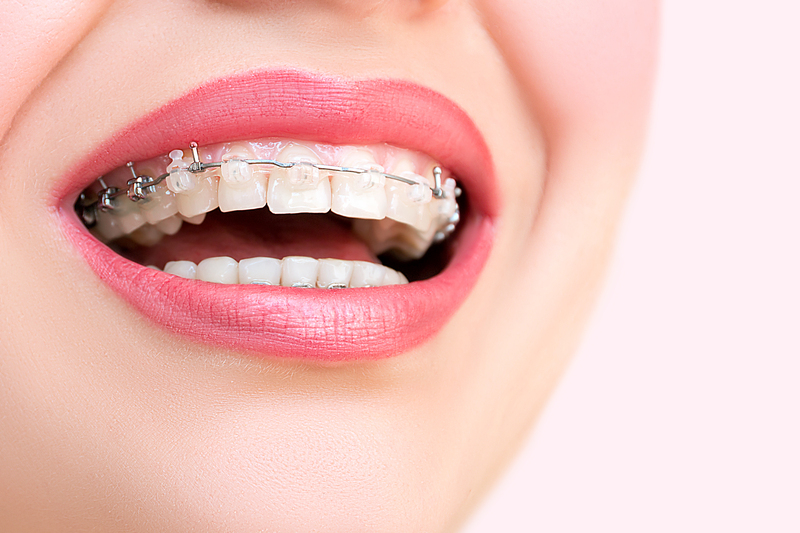 You can receive the orthodontic care you need in a more discreet manner than you would with traditional metal braces. Tooth-colored brackets and wires are appropriate for mild and moderate cases of misalignment. However, in instances of severe malocclusion, metallic braces are required instead. Ceramic braces are not able to produce the exact same force as metal brackets, which can limit your options in more severe cases. The best way to make sure ceramic braces are right for you is to have an initial consultation at our Corona dental practice. An ideal patient is an adult or teenager without severe malocclusion. These patients can best benefit from the practical and aesthetic benefits provided by tooth-colored brackets and wires. However, each patient we see is unique, and Dr. Dinh can only determine the most appropriate orthodontic treatment on a case-by-case basis. In the event that ceramic braces are not right for you, Eastvale Dental and Orthodontics has other orthodontic solutions. We also offer Invisalign® clear braces for teenagers and adults who are eligible. These alignment trays are completely clear, so they are even more discreet than tooth-colored brackets and wires. Invisalign® aligners are also removable, making them more convenient regarding diet and oral hygiene. However, the trays do not provide as much force as ceramic braces, limiting their scope to mild alignment cases. Alternatively, a patient can always benefit from traditional metal braces. While cosmetic issues may be present during treatment, the straight and healthy smile that remains long after the braces are removed is still beautiful. Eastvale Dental and Orthodontics provides ceramic braces in Corona. For more information about our orthodontic treatments, call or email us today!